Canvas is a well known fashion brand. Canvas is updating its customers with the latest designs & styles of their products. 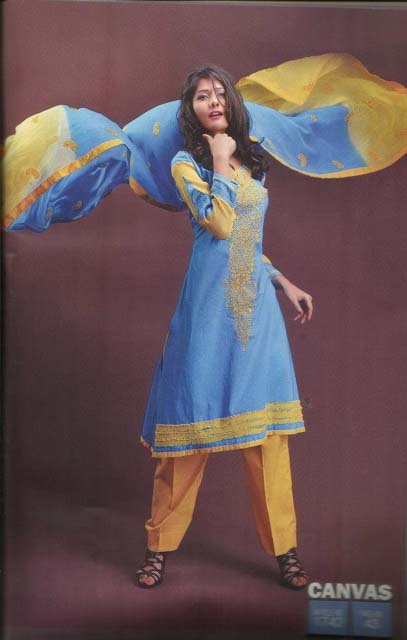 They always fulfill the demands of their customers with introducing beautiful & high quality designs, colors & fabrics. 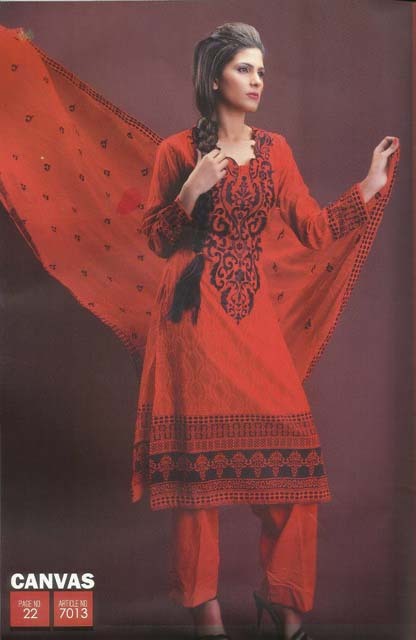 Freshly Canvas unveiled its Embroidered Lawn 2013 for spring summer. 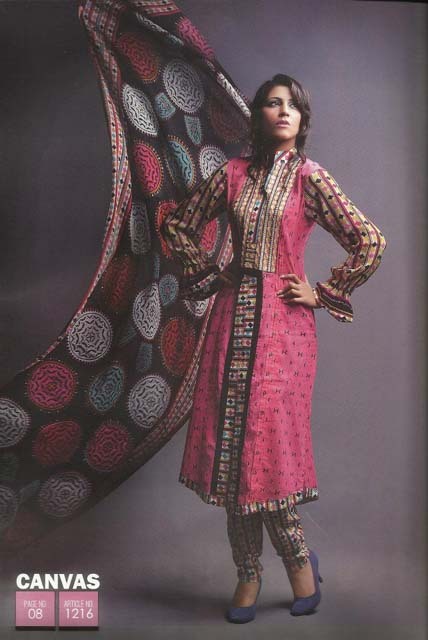 Canvas Embroidered Lawn Collection consists of trendy cuts and designs on dresses with digital prints. 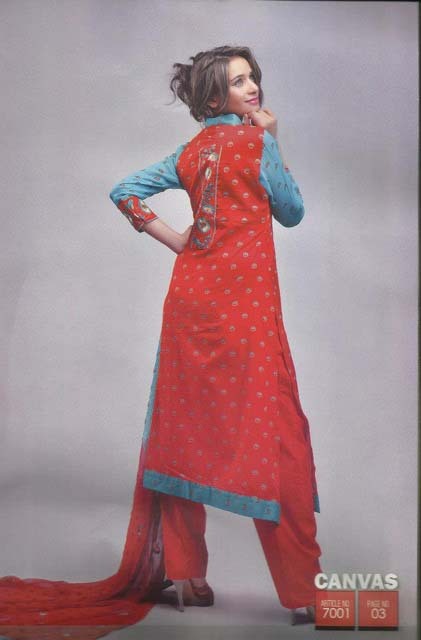 Long shirts along with trousers & churidaar pajamas & dupattas are included in this collection. Light, vibrant & soothing colors are used in this collection. Dresses are embellished with embroidery.